While checking in on my twitter feeds earlier today, I noticed a post, below, by @geekbabe, who I have been following for awhile and has some great posts. - "Ok I have 10 devices charging, seriously 10, all with cords, there isn't a spare outlet anywhere"
What came to mind as soon as I read it was "charging pad." It is a relatively new cool gadget that lets you charge multiple electronics at once without having to plug all of them in an outlet. Only the charging pad gets plugged in and all other gadgets are placed on top of it. The devices are charged using inductive charging. 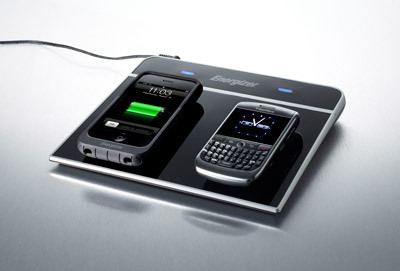 It is a wireless charging method used for mid-sized items such as cell phones, MP3 players and PDAs. Once the contact points come in contact with the conductive surface of the charging pad, a small current moves through the coils of the charging pad, creating a small magnetic field which is gathered by the contact points of the adapter and converted into energy. The energy gathered is transferred to the device's battery as efficiently as if the device were connected to a wall socket with its regular wired adapter. This method has already been utilized successfully in several household items such as electric toothbrushes and waterproof vibrating razors. It is in early stages of being used for charging phones and such but is showing promise in de-cluttering the desktops surfaces. 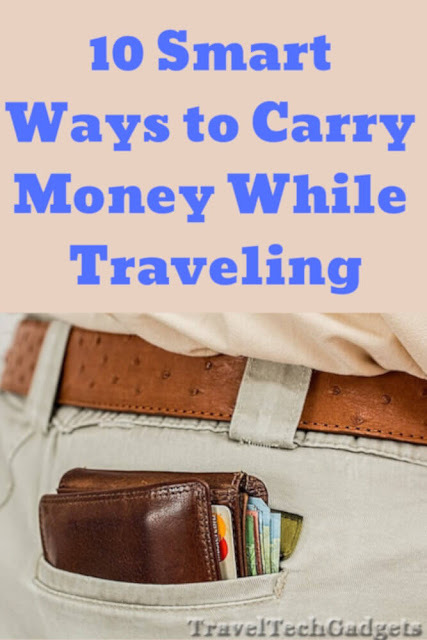 These are also great for traveling as a lot of them fold up or roll up to fit into small space and keep your gadgets charging one space for easier pack up. "Though we reviewed the Powermat Home and Office Mat, the Portable Mat serves the same purpose but with a compact, foldable design. 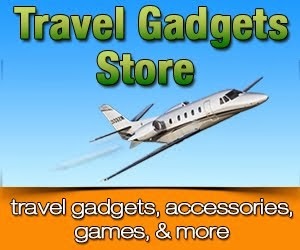 We updated this review on April 2, 2010, to reflect further testing. If you had told us five years ago that innovation was coming in cell phone chargers, we wouldn't have believed you. Our response would have been, "What's the point?" We're perfectly happy with the wall charger that came in the box." "Pros - Can charge up to four devices at once. Long list of compatible devices. Little extra weight on phone. Cons - Expensive. Finicky connections. Bottom Line - The Duracell MyGrid Charging Pad is a convenient way to charge all your gadgets without a mess of wires, but it can be frustratingly finicky." I have been looking more into these. And after reading quite a few reviews, articles, and see video demonstrations I think that while that is a great gadget and just tossing the phone on a charging pad seems like a dream come true, it still has quite of bit of development to undergo. Charging pads have very useful features and great potential for making it easier to charge multiple gadgets, clean up desktop, and decrease amount of wires. Though it is still has quite a way to go before it becomes something that anyone would use. Currently, with the multitude of adapters needed and the time and effort of setting these up, I think that a few of the earlier adopters would consider buying these and using them. What do you think, are these ready for mainstream or need more development?